The Tanzanian Ministry of Natural Resources and Tourism (MNRT) has recently announced that it is seeking to foster investments in the country’s hospitality industry to boost the tourism sector competitiveness among the main international destinations. The announcement was done by MNRT Permanent Secretary, Dr. Adelhelm Meru, whom explained that the country needs more investments in five-star hotels to raise its competitiveness and match the growth in branded rooms’ availability with the growth in international visitors. According to MNRT’s latest statistics, in Tanzania there are currently 174 registered tourist hotels with a total capacity of approximately 21,929 branded rooms for 1,140,156 tourist that arrived in 2014. It leaves the country with a rate of 63 branded rooms per million population, which is below the Sub Saharan Region (SSR) and Africa’s average at 76 and 106 branded rooms per million population respectively according to Hotel Partners Africa (HPA). Tanzania is even further away from the 365 branded bedrooms per million population recommended by HPA for countries in the SSR. However, its undersupply market represents huge investment opportunities where rewards are in excess of risks involved as falling commodity prices and power shortages that are eroding services in the hospitality industry. This is why more investments in infrastructure and transport services are needed to make Tanzania a more accessible destination since tourists’ discomfort hurts the country’s competitiveness as a tourist destination, explained Hotel Association Destination Chairman, Mr. Damas Mfugale. According to the World Economic Forum (WEFORUM), Tanzania ranks 93rd out of 141 world tourist destinations rich in abundant natural resources. 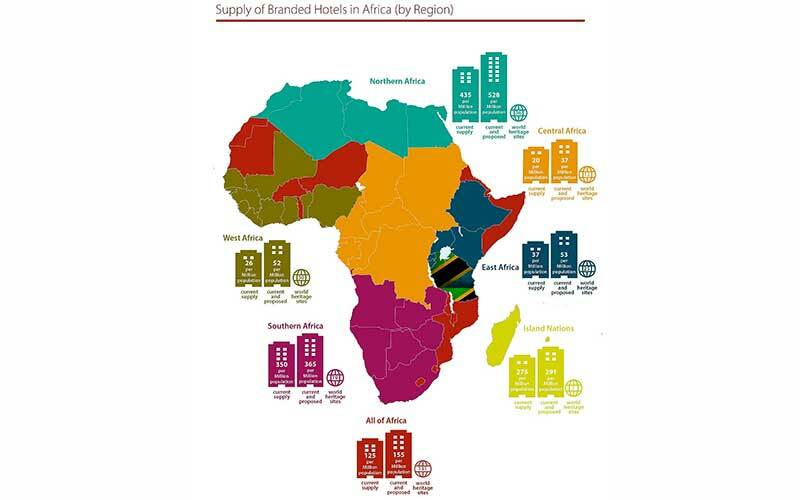 In addition, Tanzania ranks 5th among the African countries with the highest growth in the hospitality industry with an average rate of 6.3% per annum in the last six years and Seychelles leading the list growing 7.0% per annum in the same period according to HPA. Read TanzaniaInvest latest Report On Tourism In Tanzania to learn more about this sector.